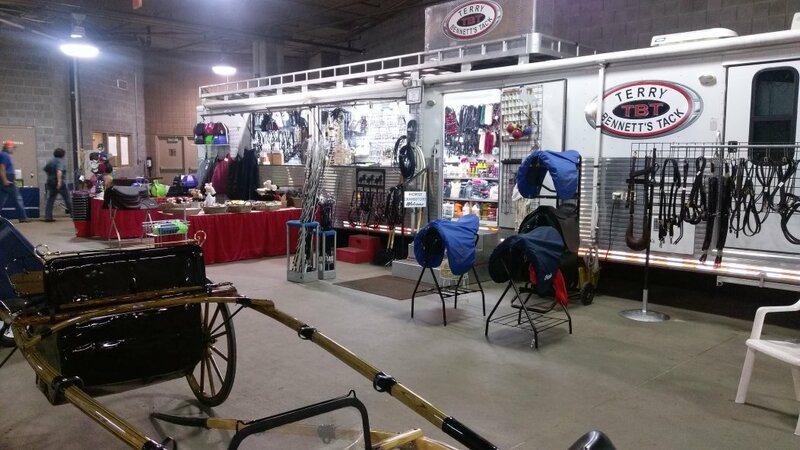 Terry Bennett’s Tack Inc. is located in the heart of horse country, carrying a wide line of horse and pony tack. We specialize in English riding and driving equipment. We are passionate about what we do and the products we offer, working with some of the most respected brands in the equine industry. Without the help of these designers, we would not be the company that we are today. Our cutback saddles are made by Freedman and Shively, including the World Cup, Victory Pass, and Shively MMX. As an authorized dealer, we carry a full line of carts and buggies made by the Jerald Sulky Co., a leader in the sulky industry. Show and work harnesses are made by Freedman, Hunt, Morris, and Walsh. At Terry Bennett’s Tack, we also carry the finest snaffle, curb and Liverpool bits made by Bowman in USA. Our blankets and sheets are made by Jacks Manufacturing Inc. and can be custom ordered to fit your needs. Our English bridles, show bridles and Caveson sets are made of high-quality leather and fine craftsmanship. Among our grooming products, you’ll find Ultra Products, B.F. Young, Bee Free of Flies, Shapely Products, Absorbine, and many others.